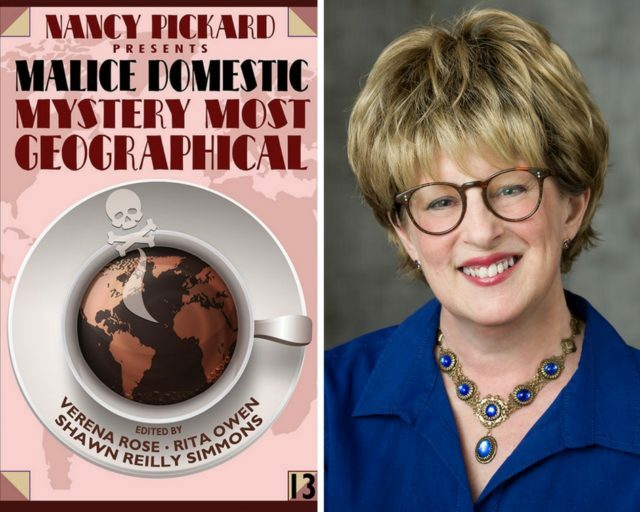 Today’s post marks the start of a short series featuring contributors to the anthology Malice Domestic: Mystery Most Geographical, which officially debuts at Malice Domestic later this month—and don’t miss the big anthology signing (and dessert reception!) on Malice’s opening evening, Friday, April 27, at 9 p.m.! Kicking things off is Susan Breen, reflecting on her story “The End of the World.” Susan’s short stories have appeared in both Alfred Hitchcock Mystery Magazine and Ellery Queen’s Mystery Magazine and in the anthology Best Nonrequired Reading, among other publications. Her Maggie Dove mystery series is published by Alibi/Random House. Find out more at her website, www.susanjbreen.com. And stay tuned over the next weeks for essays from two other anthology contributors, Peter Hayes and G.M. Malliet.